Here's a list of the most frequently asked questions by our customers, when they outsource data entry services to Outsource2india. In case the question you are looking for is not answered below, or not addressed satisfactorily, please feel free to contact us. 1. How can I send my documents to Outsource2india? Additionally, you can even ship or courier your documents to us. However, this method is not preferable unless you are dealing with bulk data like catalogs and directories, due to extra cost and time required. 2. How do I access your server and upload my files? We will create a FTP site for you and give its login and password details. Also, we will provide you the path to upload your files. With these details you can easily upload your files to our FTP server. 3. How will you send the documents back to me? 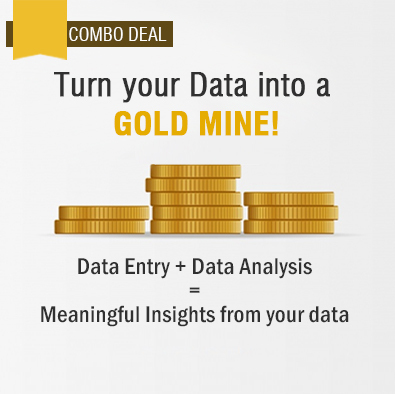 Yes, we offer free trial for all our data entry services. You can avail that even before signing a contract with us to check the quality of our services, and decide whether to outsource to us. 5. Do you use any data management software? Yes, we use proprietary software for data management, and decide on which software to employ depending on the project type and customers' requirements. Our usual work timings are from Monday 7.30 PM EST (6 AM IST) to Saturday 3.30 PM EST (2 AM IST). But, we are open to do work on weekends if the situation demands and informed about the same by Thursday evening or Monday morning. Faster turnaround time sets us apart from our competitors, and it depends entirely on the project and clients' requirements. When you outsource data management services to O2I, you can be assured that our turnaround time would surpass your expectations, read more. 8. Do you follow any data security measures? 9. What is your pricing structure? 10. Do you follow quality assurance processes? Yes. We follow stringent quality assurance processes to ensure that our customers are provided with accurate data. Read more about the quality assurance processes at Outsource2india. 11. Do you offer data entry services in Spanish? Yes. We offer Spanish data entry services and Spanish translation services. 12. Do you have the infrastructure to support data management services? Yes. At outsource2india, we use the latest in technology and infrastructure. Read more about the infrastructure at Outsource2india. 13. What are the benefits of outsourcing data entry services to Outsource2india? When you outsource data entry services to Outsource2india, you can benefit from the following advantages. Outsource data management services to O2I and give your organization a competitive edge. If you are interested in our image editing services, simply fill in the imaging form on our website and we will contact you within 24 hours.